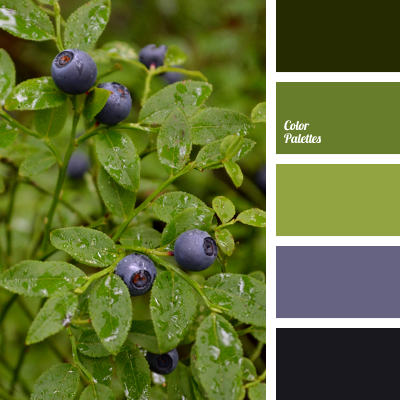 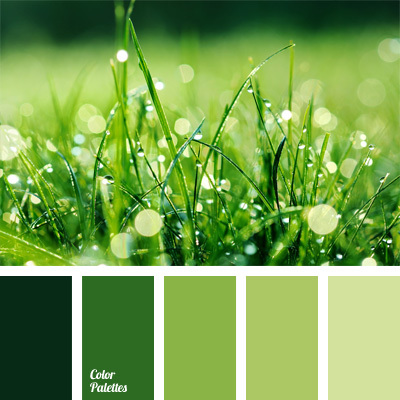 Palette of green hues and colors can be called monochrome in both substance and content. 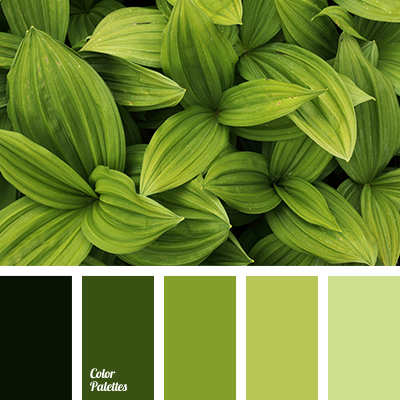 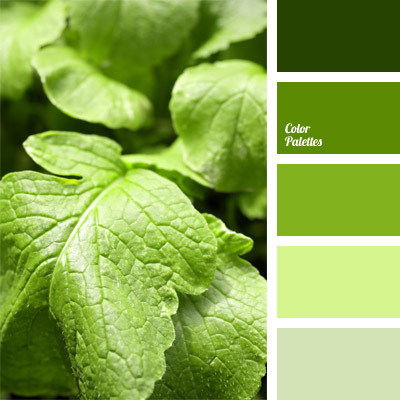 Soft bright enough color of basil and languid color of green tea underlie this color scheme. 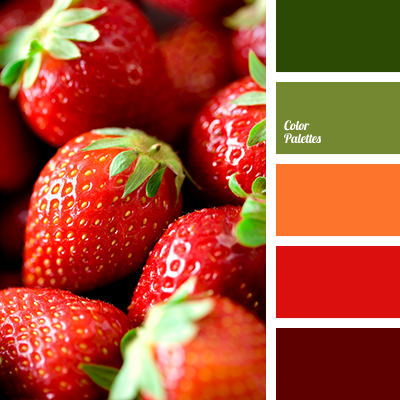 Dining table individual elements or kitchen can be decorated with this palette to add touches of fresh summer and to create a good mood.